THE blast from the makeshift landmine had torn away most of the little girl's left leg. She had already lost so much blood by the time she reached the military field hospital, she was barely alive. 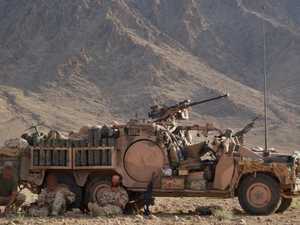 It was an all-too-familiar scene for the medics serving on the front line in Afghanistan with Australia's Special Forces - civilians horrifically wounded by Taliban weapons. For the Voodoo Medics of Australia's Special Operations Command, treating their comrades was their highest priority but they also treated civilians - and even the men they were fighting against. Wounded children, like this five-year-old girl, were among the hundreds of casualties these Voodoo Medics - referred to by their call sign "Kilo" - worked tirelessly to save. 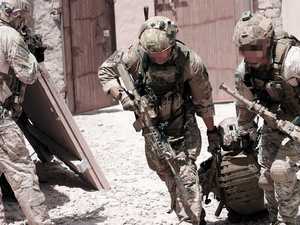 The girl was taken to the hospital inside the Australian base at Tarin Kowt in the country's south after she stepped on an improvised explosive device (IED) intended for coalition troops. Inside the field hospital, Australian and American medics commonly worked side-by-side on wounded patients. An American medic was responsible for treating the little girl, whose leg had been bound with a tourniquet to slow the bleeding. The medic released the tourniquet to check the bleeding - a grave mistake in the treatment of someone in the girl's condition. 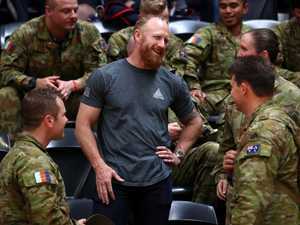 "Rule number one, you never release a tourniquet unless you're in surgery," said Sergeant Brad Watts, a medic attached to Perth's Special Air Service Regiment. The medics operated at a field hospital in Tarin Kowt. What little blood was left in her tiny body was suddenly streaming out and she went into cardiac arrest as the medic failed to get the tourniquet back on. "This little girl who was fine suddenly died and bled out," Watts anguished. Despite all medical staff busy with their own patients, they immediately shifted their focus to trying to save her. "We gave blood, we were doing direct transfusions to get her back, and we even cracked her chest to try to get her heart pumping again," Watts said. "We even had our truck driver drawing blood out of people." For three hours they desperately tried, even conducting a thoracotomy - emergency surgery that involves opening the chest cavity and massaging the heart by hand - but the team could not save her. Watts stayed with her until the end. 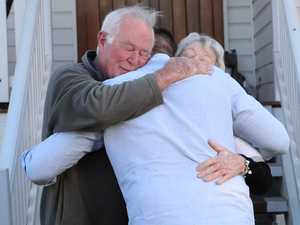 He broke down as he recalled trying repair her body before she was returned to her parents. 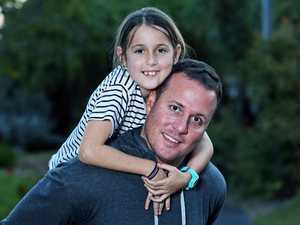 "We had this really broken little five-year-old girl who, her chest was cut open and she was pretty badly injured, so it seemed important to me to go and get needle and thread," he said. "I … sewed her up and tried to get her back to some form of normal before we handed her back to the family. "It was a pointless death that could have been avoided and I think that's the bit that probably hurt for most of us - that she didn't have to go. "It was someone that we could've saved." 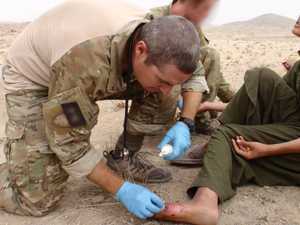 When not treating Australian troops, the medics often did what they could for Afghan civilians at their base or in the field. Sometimes, they would even treat Taliban fighters wounded in battle. 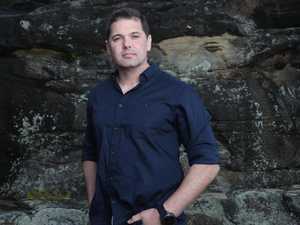 "You were very much in the thick of it doing your job as a medic so for me, if I wasn't on patrol with the guys, I'd go to the field surgical team and work in a rhesus bay or assisting with trauma surgery," said Corporal Jeremy Holder MG, a platoon medic with 4th Battalion, Royal Australian Regiment. In Afghanistan, good medical help was nearly non-existent for most of the population - and there was no shortage of carnage. 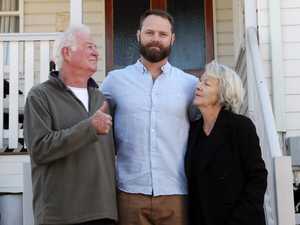 "When it comes to medics and things that they've seen … arguably they've seen the worst of it," said former Special Air Service Regiment Corporal Mark Donaldson, who was awarded the Victoria Cross for his actions in a 2008 battle in Afghanistan. "Sometimes they're fixing up the enemy who's been shooting at them and trying to kill them, or civilians, or the guys that they work with day in and day out, trying to keep them alive - and sometimes they haven't." SOCOMD medics estimated they would treat hundreds of casualties on each roughly six-month deployment. The guerrilla nature of the fighting in Afghanistan, with the enemy blending in with ordinary citizens and roadside bombs one of their key weapons, meant that many of the casualties were citizens. 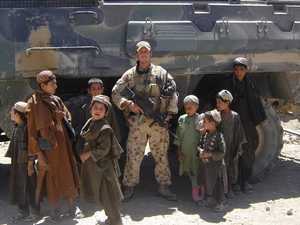 Voodoo Medic Brad Watts pictured with local children in Afghanistan. "Pretty much every day civilians were being brought into us at the base in some state, which was unfortunately quite often horrific trauma," said Watts, who concedes the case of the little girl has stayed with him. "Seeing little kids and family units destroyed were pretty intense moments," he said. "The main mechanism of injury for us while we were there was IEDs coupled with gunshots. "There was a lot of blood around a lot of the incidents, and that metallic smell - once you've smelt it - never leaves you."